In a small study they found that most dyslexics had dominant round spots in both eyes – rather than in just one – leading to blurring and confusion. UK experts said the research was “very exciting” and highlighted the link between vision and dyslexia. But they said not all dyslexics were likely to have the same problem. 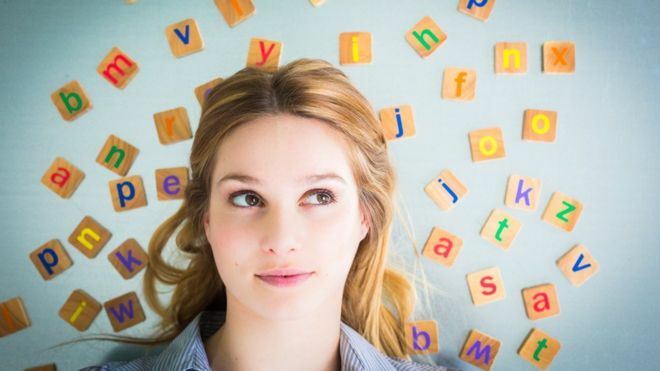 People with dyslexia have difficulties learning to read, spell or write despite normal intelligence. Often letters appear to move around and get in the wrong order and dyslexic people can have problems distinguishing left from right. Human beings have a dominant eye in the same way that people have a dominant left or right hand. In the University of Rennes study, published in the journal Proceedings of the Royal Society B, scientists looked into the eyes of 30 non-dyslexics and 30 dyslexics. They discovered differences in the shape of spots deep in the eye where red, green and blue cones – responsible for colour – are located. In non-dyslexics, they found that the blue cone-free spot in one eye was round and in the other eye it was oblong or unevenly shaped, making the round one more dominant. But in dyslexic people, both eyes had the same round-shaped spot, which meant neither eye was dominant. This would result in the brain being confused by two slightly different images from the eyes. Researchers Guy Ropars and Albert le Floch said this lack of asymmetry “might be the biological and anatomical basis of reading and spelling disabilities”. Prof John Stein, dyslexia expert and emeritus professor in neuroscience at the University of Oxford, said having a dominant spot in one eye meant there were better connections between the two sides of the brain and therefore clearer vision. He said the study was “really interesting” because it stressed the importance of eye dominance in reading. But he said the research gave no indication of why these differences occurred in some people’s eyes. He said the French test appeared to be more objective than current tests, but was unlikely to explain everyone’s dyslexia. Dyslexia is usually an inherited condition which affects 10% of the population, but environmental factors are also thought to play a role. This entry was posted in Health, Science, World and tagged Dyslexia, eyes, Health by rolyred. Bookmark the permalink.